With the introduction of the 1000 Rapide, Philip Vincent delivered much more than an outstanding motorcycle. He inspired generations of enthusiasts, racers, tuners and builders of specials, so the lineage of his thoroughbreds never ended in 1955 but went on until today. 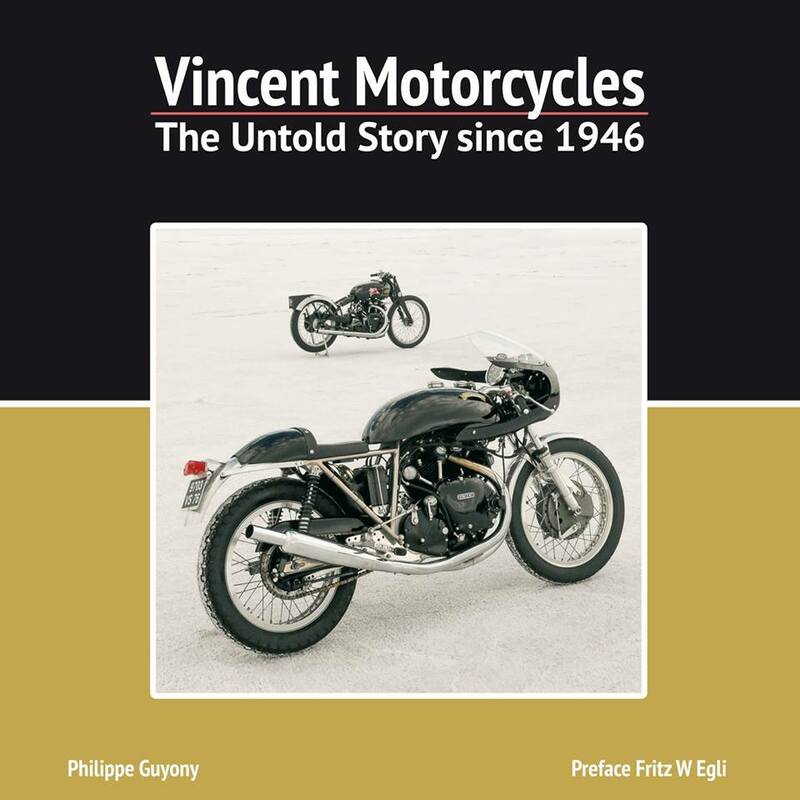 Packed in 400 pages with 875 images and prefaced by Fritz W. Egli, this book is a unique blend balancing the classic and modern history of the Vincent motorcycles with a holistic and very innovative approach. Vincent Motorcycles – The Untold Story since 1946. Published by Veloce Publishing (UK). Cover photo ©Mars Webster. $180 price tag for this long over due book ? Sold !!! Here’s hoping Veloce Press has the sense to make it available here in the US for those of us who do no online purchasing or financial transactions ! Hi Luis, thank you for your interest. Your bikes are in good place in chapter 5! The book will be available in Australia in November. In the meantime you can order from Veloce Publishing in the UK (http://www.veloce.co.uk/shop/products/search.php). Patrick Godet was kind enough to loan me his copy while I was there recently. Every Vincent Owner should have a copy!